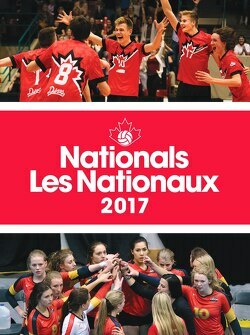 The 2017 National Championships will be hosted from coast to coast with nine events across eight cities in Canada. This year, more than 900 teams will compete for the title of National Champions. VC is very excited to host and welcome teams to this event! We are always looking to improve our National events through participant feedback. Please take some time to tell us how we did by completing the 2017 Post-Event Survey. Fill out the survey for your change to win a great VC prize pack! Check-in will take place Thursday May 4th, 2017 from 4pm-8pm in the Athletics building. The "Editing a Roster Guide" will provide details regarding changes to a roster. 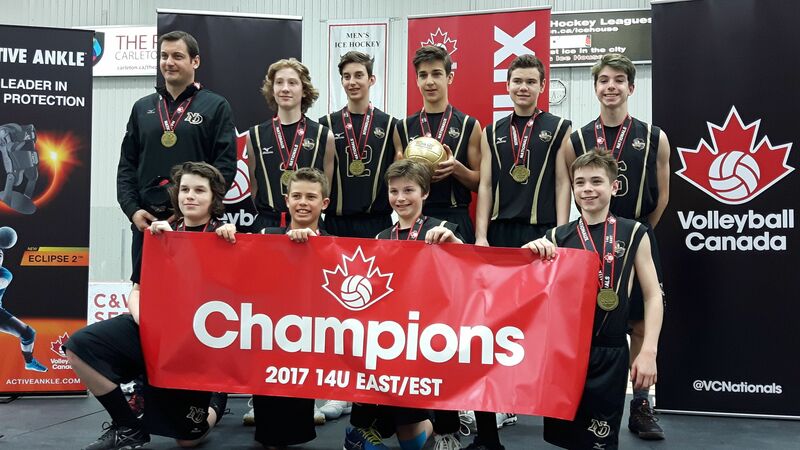 HTG Sports Services is the official AMP for the 14U East Ottawa Nationals. All bookings must occur through the HTG booking portal. Proximity Exemption Request: A team is based within 150km of the competition venue OR the team plans to stay with family or friends that resides within 150 km of the competition venue. Elayne Pink - epink@absolutetravelspecialists.com or 1-866-322-6538 (toll-free). There is a Tim Hortons in the athletic building and there will be food trucks outside the main doors in Parking lot P5. ​Teams will not be permitted to bring coolers containing their own food into the venue. There is ample parking available at the venue. Lot 6 is located directly adjacent to the athletics building. There are also a variety of other parking lots available around the campus at different rates. See the campus map with parking lots labeled with the green indicators and the corresponding Parking Rates document which is also available on the Carleton University Parking Services website. The parking map can be found. 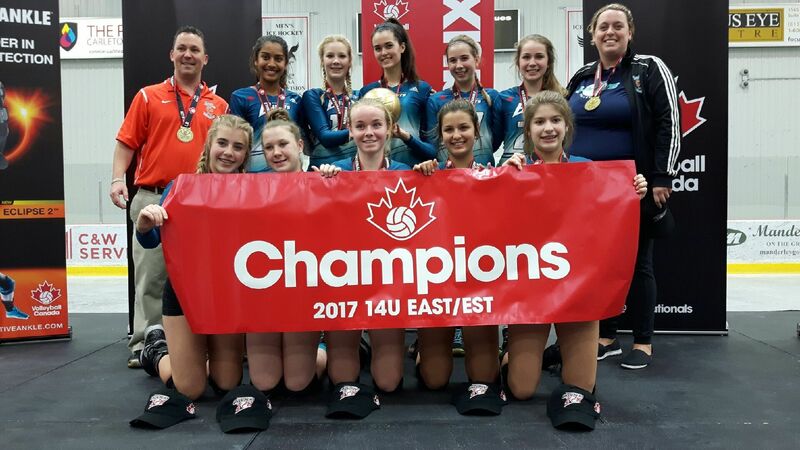 Any feedback on the seeding must be submitted to Sandra de Graaff at competitions@volleyball.ca by Tuesday, May 2nd at 11:30pm EST. This will allow us to review the material, follow up with the PTA, and update the information in a timely manner for all teams. Wave times are now available. Photos from the event are available on the Ottawa Sports Photography website. Full weekend event passes are available at a discounted rate of $25 until Thursday April 27, 2017 at 12PM. Online event passes will be available at full price until 12:00pm ET the Monday preceding the event. We are always seeking new vendors to set up during our competitions. Vendor areas are set up at each Nationals event which provides an ideal space for promoting or selling items or services to hundreds of athletes, coaches and spectators. Opportunities are available for information booths, sampling, and activations of all kinds. Each team will be required to provide two volunteers per match to act in the role of line judge and score keeper. Anyone associated with the team may perform this role. Each team will be given one extra team accreditation that can be provided to a non-team supporter acting in this role. Fill out a survery to let us know how you thought the event went and help improve VC events in the future!